Good-bye September – Hello October! Looking around my little blog and it appears I took the summer off! Thankfully, there is no boss I should report to here on my tiny blog. In addition, I often wonder who would even want to read my silly little blog. Although, sometimes when I come back here to visit it seems a little lonely and neglected. Also, I have found sometimes writing here is like keeping a journal and it gives a nice account of what was going on in my life at a specific place in time. I like that. I do have something to share – Recently, at a summer birthday party I had a sangria that was to die for! If you like watermelon, strawberries, a cold rose and vodka – I promise you will love this sangria! What I loved about this recipe was I only used the above ingredients rather than the whole recipe. It will definitely be something I make and enjoy again! My Monday Motivation comes from a Pinspiration! For dinner tonight I am making Chicken Zucchini and a recipe I found on Pinterest quite a while ago, Creamy Parmesan Rice. I am finally summoning up the courage to try this rice. I got the Chicken Zucchini from All Recipes and the rice from South Your Mouth. You can check with her to see how it is supposed to be done here and then you can check back with me later this week and see what happened when I tried it. I’m not the best cook. Something bad always happens especially when it comes to white rice. I’ll be back to blog about it at the end of the week. With oatmeal – Can you believe it? 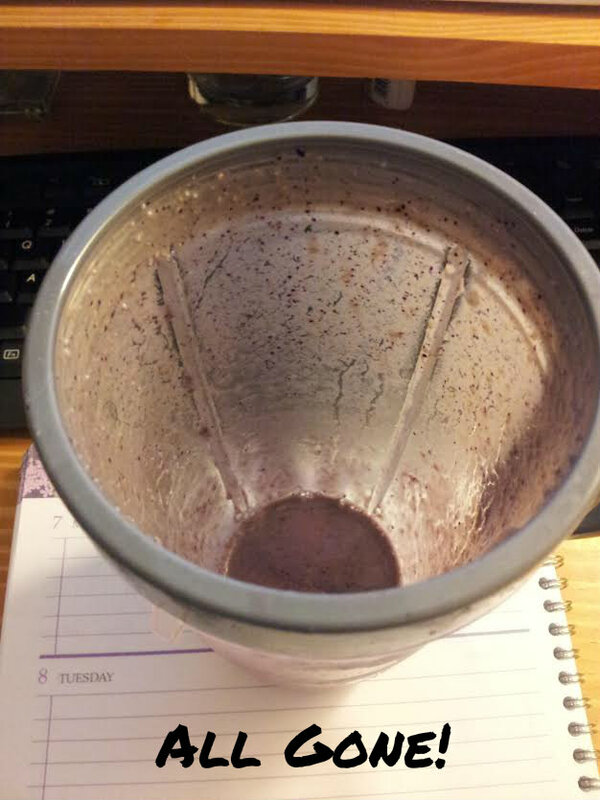 The Nutribullet is plugged in and ready to go at all times. The container in which I blend rests right on top when not in use. 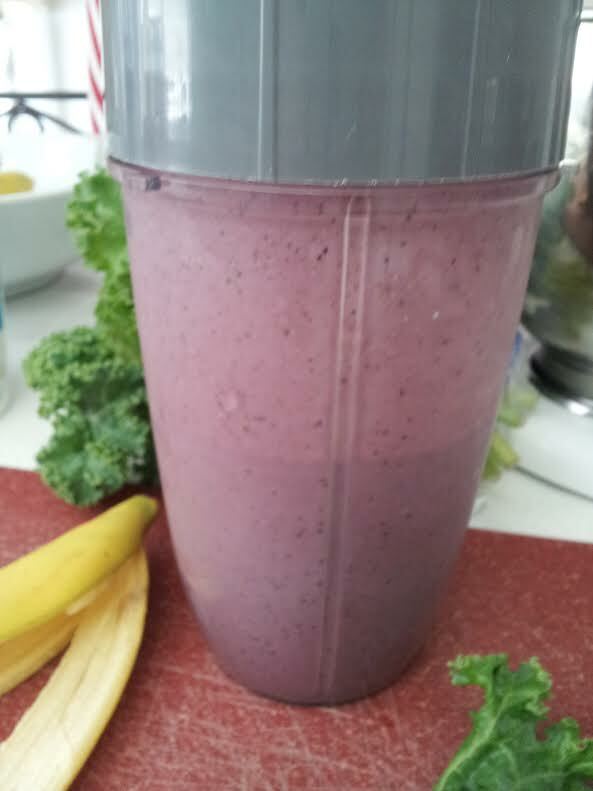 This Nutribullet has been an evolution and now I’m really starting to dig it because it’s easy, healthy and actually tastes good. I started with banana, pineapple, milk and a couple cubes of ice. Easy enough right? Then one day I bought a pack of frozen strawberries. Frozen works better for me because I don’t feel pressured to use them or they’ll go bad. After using the strawberries I thought I would switch it up and try blueberries. One day I threw my cold oatmeal in and couldn’t believe how yummy it was! Then I found this and knew I could make it, drink it and like it! 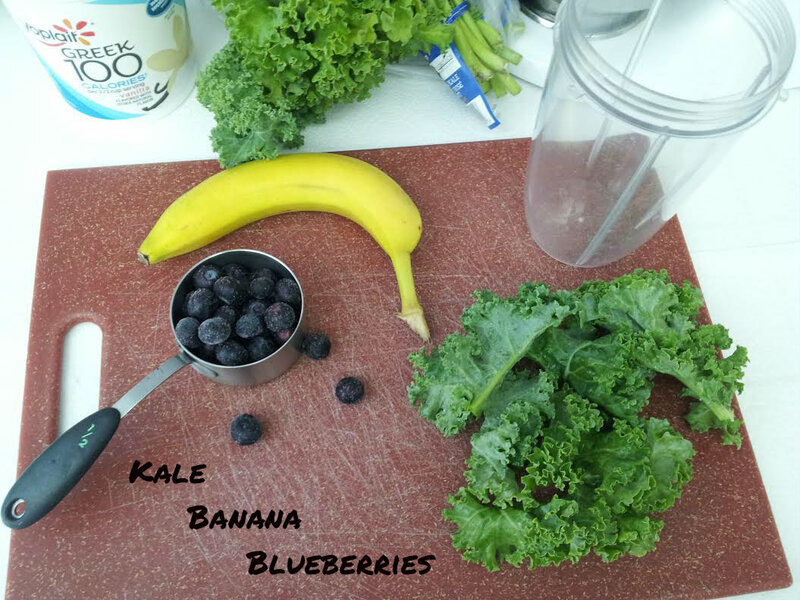 Kale, blueberry and banana Smoothie! 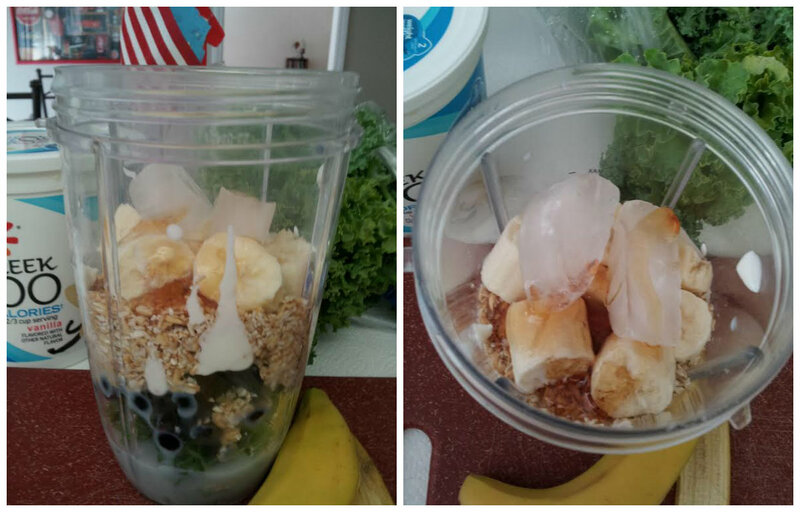 All ingredients to my Nutribullet and blend until smooth, about 2-3 minutes. Had I seen this recipe a few years ago I probably would not have given it a second look. It would not have been appealing to me at all! However, a couple weeks ago I made some kale chips and they were pretty darn good. Even my husband agreed and I call him Willy Wonka so that’s saying something! I’m excited for this whole new world of smoothies that has opened up for me! 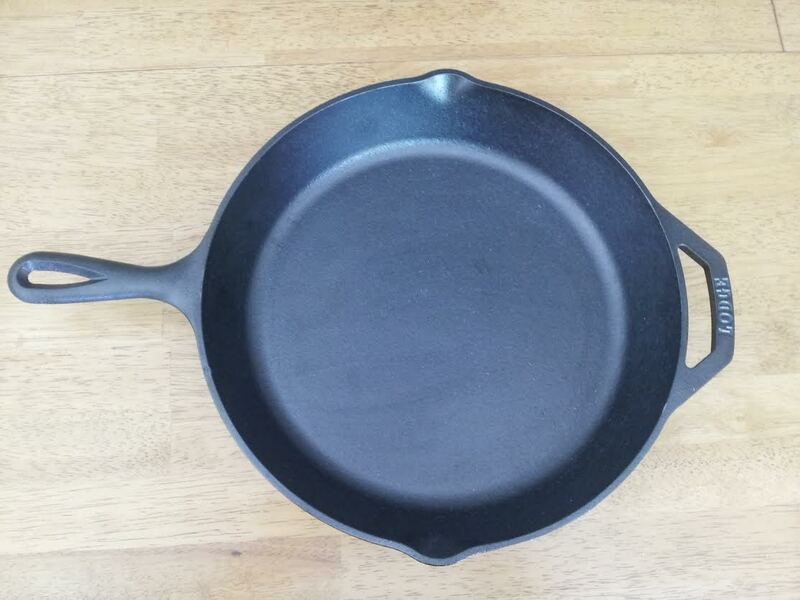 I finally did it – I bought an iron skillet over the weekend. I am so excited! Being that my husband is the pickiest eater on the face of the planet (I kid you not) I don’t really get to experiment a lot so cooking is relatively simple. Sometimes, I scroll through recipe and cooking blogs and find myself longing for the chance to try all these awesome yummy recipes that fill the world-wide web. Unfortunately, I cannot partake in a lot of this deliciousness because all of the ingredients which give lots of the flavor to all these fabulous recipes are a no-go in our house. Over the past year I have been relying a lot on Pinterest for gathering recipes. In addition, I have been watching the cooking channel a lot – I have to get my fill of cooking some how! In watching these shows I totally want to try baking or braising my meat in the same pan in which I sear or brown it, I’m guessing doing this adds tons of flavor – Yes? I’ve been online learning how to “season” my cast iron skillet and looking for a yummy london broil recipe – Hoping this turns out good! If you have any tips to share with me please feel free – I’m a newbie!